Middle management have been gathering momentum throughout summer with a recent release of a new single "Voices" and multiple shows around town. Now they want to keep the summer party vibes going with a glorious Sunday session at The Retreat hotel. They have organised a "swell" line up of local bands and its FREE entry! 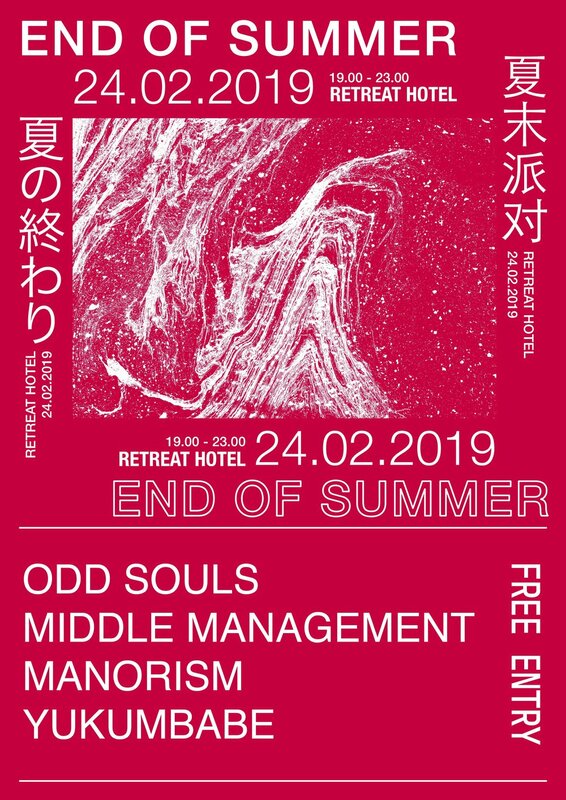 Middle Management will be taking over the main band room with help from local legends Odd Souls, Manorism and Yukumbabe. Come down to hang out, have a sunday summer drink with in the beer garden and watch some amazing local bands.